In order to be recognized for the Security/Hospital Patrol Dog Title you must be a paid Security K9 Handler with a recognized business, or Hospital, and a NAPCH member in good standing. The Security/Hospital Patrol Dog Title is presented when the following test areas, but not limited to, have been successfully completed in a timely manner by a NAPCH Master Trainer. Obedience, Building Search and/or Area Search, Aggression/Apprehension Control. (Any other passed tested area may be added). 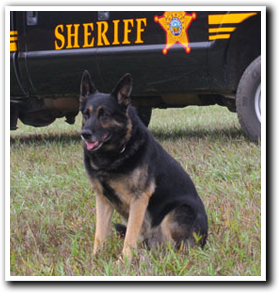 The Security/Hospital Patrol Dog Title will remain in effect for 2 years of the certification date and member is in good standing with NAPCH.